One of your biggest fears in the home is the rodent. Maybe you are uncertain in calling in a rat exterminator Las Vegas service. Many issues are going through your mind and wondering if using a professional rodent control company’s necessary. The truth is these small rodents are swift and silent and lurk in every corner of the home. The problem is by the time you realize you have critters in the home the issues full-blown and the chance is they have already caused damages to your house or commercial establishment. You can buy different rodent repellent products in stores, but the possibility is it might not be enough. What is the next step for you find out here? The most significant problem you can face with rats is they are carriers of disease and destructive with their teeth. Their bodies are flexible, and they can move into your home anywhere. They are fast when threatened, and the chance of catching one is impossible. The truth is they are intelligent creatures and always wary of anything out to harm them. 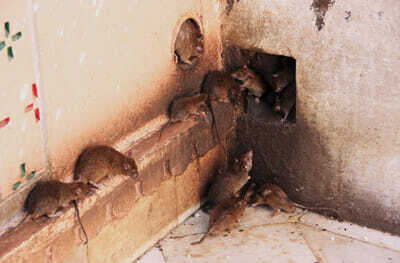 Controlling rodents in the home is one of the most challenging tasks. The problem is the smell can become unbearable as a lot of them together leave a horrible stink in the air. Imagine preparing food, and you have a rodent problem. They cause infestations in walls, gnaw on the wiring, and become costly to fix. The best course of actions is to act immediately and prevent it from getting out of hand – this is where you need to call in a professional to help. You can buy different products commercially to handle your rat infestation when dealing with one or two. However, controlling dozens of them is a different story. The problem you face is they reproduce quickly and getting rid of one with a trap is simple. The concern is getting rid of the entire family. What a professional rat exterminator does is get to the root of the problem, and they start from there working their way up. There is no shortcut, and they deal with the issue from surface level. The rat control companies make sure you do not have to deal with an infestation for a long time. Whether you have a home or commercial business, it is the best investment you can make to save you costly repairs and medical bills in the end.